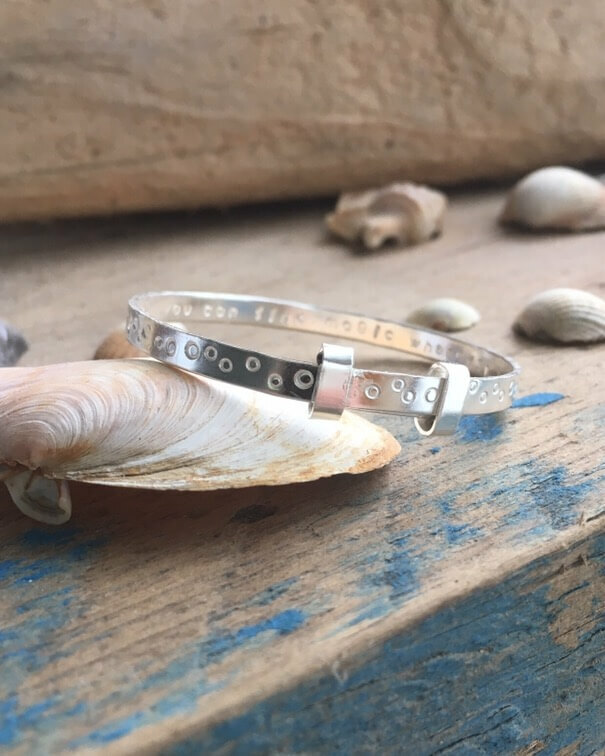 The Bubbles baby bangle is handmade from recycled silver, 1.10 mm deep and 4mm wide, using traditional techniques. It’s stamped with a random bubbles designs. It makes a great gift for a beach baby and the eco-nature of the product makes it extra special! The bangles are adjustable and expand from approximately 4 to 5.5 cm. Your bangle will be tissue wrapped in recycled tissue paper and delivered in a cotton drawstring bag.